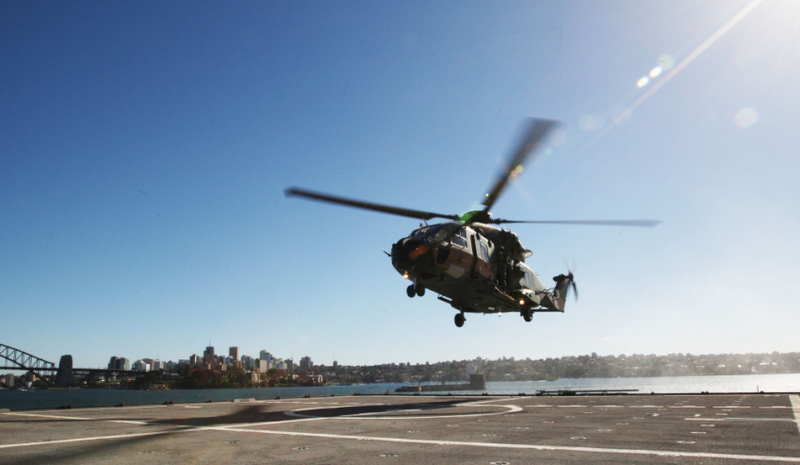 Royal Australian Navy Multi Role Helicopter (MRH90) approaches ESPS Cantabria's flight deck during trials at Fleet Base East, Sydney. Image via Commonwealth of Australia, Department of Defence. Mendoza Legal & Consulting founder Daniel Mendoza-Jones has hailed specific changes in the way the law, in relation to defence procurement, is moving away from a traditional model to so-called new law, highlighting in particular a new sense of stability around the way his firm has been engaged in different stages of the procurement process. Defence Connect took time out to talk to Mendoza-Jones about how this changing law practice also looks set to see many people getting better value for money due to SMEs being able to achieve greater efficiencies and implement an increased focus on service. "The services that I and others that become involved in my practice when necessary, range from broad strategic commercial advice about a procurement process, all the way down to negotiation with the government agency on the actual contract, all the way through to execution and in many cases advising… on the ongoing management of that contractual relationship between the client and the government entity," said Mendoza-Jones. He said that the different areas of commercial and legal advice offered by his firm included intellectual property, risk sharing, as well as contact negotiation. "The way in which I've been engaged so far has either been at the outset of a procurement process, whether a particular client is considering responding to a request for tender that they've noticed pop up on the AusTender website, for example, or the decision's already been made and in providing the advice and the guidance all the way through the procurement and contract negotiation process," said Mendoza-Jones. "That's the sort of stability we've been able to offer clients so far." The legal officer and company founder also touched on some aspects of dealing with defence where he was now seeing a much greater level of pragmatism around actually making deals happen faster. "The number of reforms that have taken place that affect the approach that the defence department and its officers that I've seen while being on the other side take has changed dramatically compared to, say, 10 years ago," said Mendoza-Jones. "Having said that, of course, in any particular procurement process or negotiation, the extent to which the new reforms and the words put behind them in the new policy documents are actually experienced by the defence industry participant really depends on who you get representing the agency across the other side of the table." However, Mendoza-Jones said that over time, once the new thinking about focusing on a more "adaptive approach makes its way across all generations of defence procurement officers and lawyers advising them, I'm sure defence industry participants will notice a more collaborative, flexible and responsive negotiation experience with the department." To hear more from Mendoza-Jones, tune in to our exclusive podcast here.